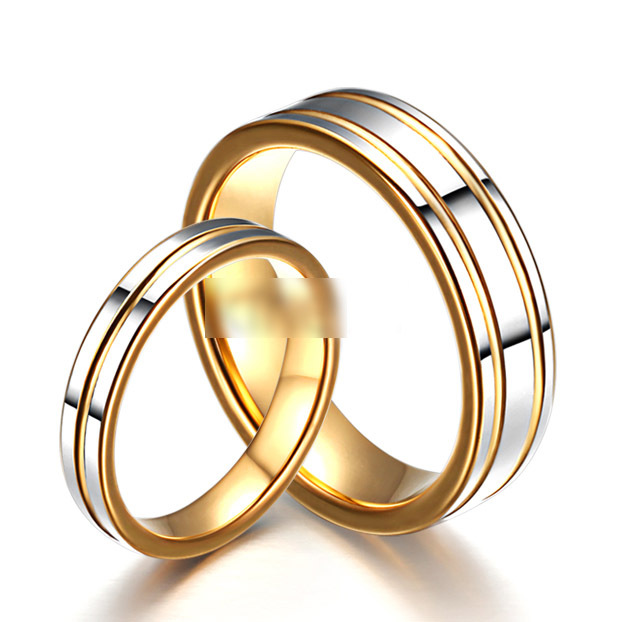 Personalized Couples Jewelry Gifts – Page 2 – Gullei.com offers unique customized jewelry gifts sets for him and her. Take a look at this samsung cover, I am sure this is the most beautiful samsung galaxy and note 2 cover that is available in market. 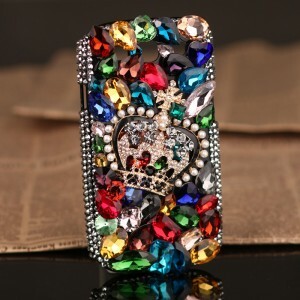 Filled with colorful crystals and on top of it a big beautiful crown. Mostly, covers available for samsung are made of silicone and have 2D printed designs, this cover is a must buy for those who carry samsung galaxy s2, s3 and note 2. Click here to take a look at detailed information and pictures of this cover. Sensational raves and massive marketing are evident in the industry of smart phones with the recent launch of Apple’s newest iPhone, the iPhone 5. It is inevitable for iPhone case makers to flood a new craze of iPhone 5 cases where creativity and ingenuity are well-manifested. The makers of these designs never fail to update their creations. These days, rhinestones iPhone 5 cases are the latest craze. Everyone else who has just gotten hold of their new iPhone makes it point that they dress up their phones in the best imaginative way possible. Rhinestones do just that. 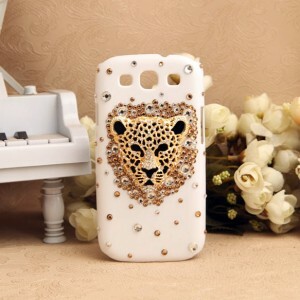 Zazzle and Gullei are the two of the online shops, that are considered the best when it comes selling phone cases designed with rhinestones especially zazzle is worldwide renowned for custom made phone cases. These online stores are the go-to stores when it comes to searching for the hippest fashion items; creatively-designed iPhone cases are of course, included in this list of items. For iPhone 5 case fanatics, both stores are able to provide unique designs to dress up your new iPhone 5. The main difference for both is that the Zazzle website’s rhinestone designs are only printed on the cases. 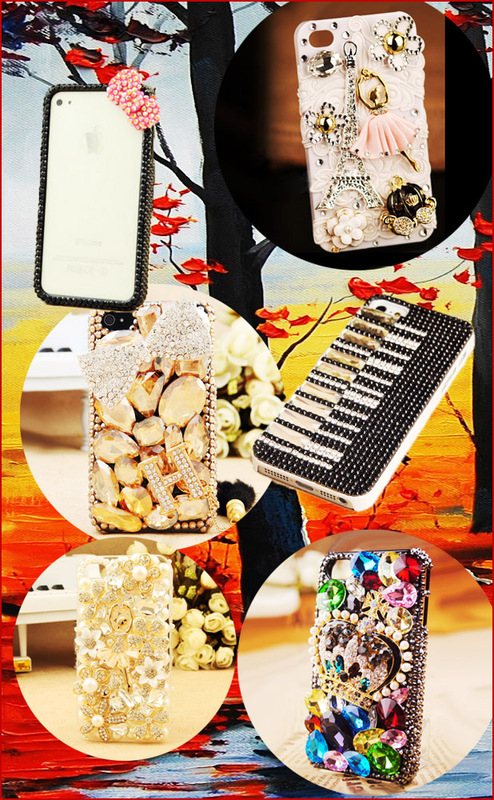 Gullei website’s rhinestones iPhone 5 cases are designed with best quality artificial rhinestone crystals; in effect creating a 3-dimensional effect to the iPhone case. Zazzle online store features iPhone 5 cases that come in various custom designs, usually in glitter and other girly designs. 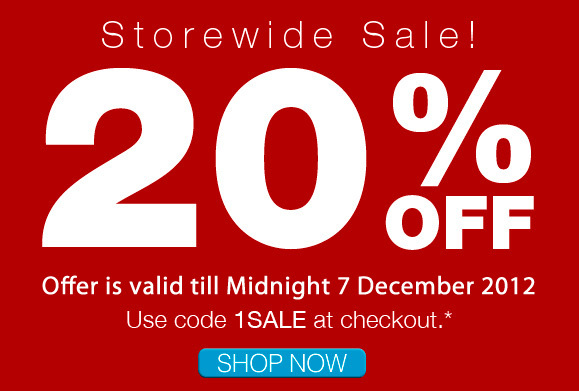 On the Zazzle website on the other hand, one can customize some of the designs and put in a name or a word. This is not the case for Gullei. Most of the designs in Gullei are fixed, though there are hundreds of unique cases to choose from. Gullei’s iPhone case designs however are not only exclusive for the new iPhone 5. 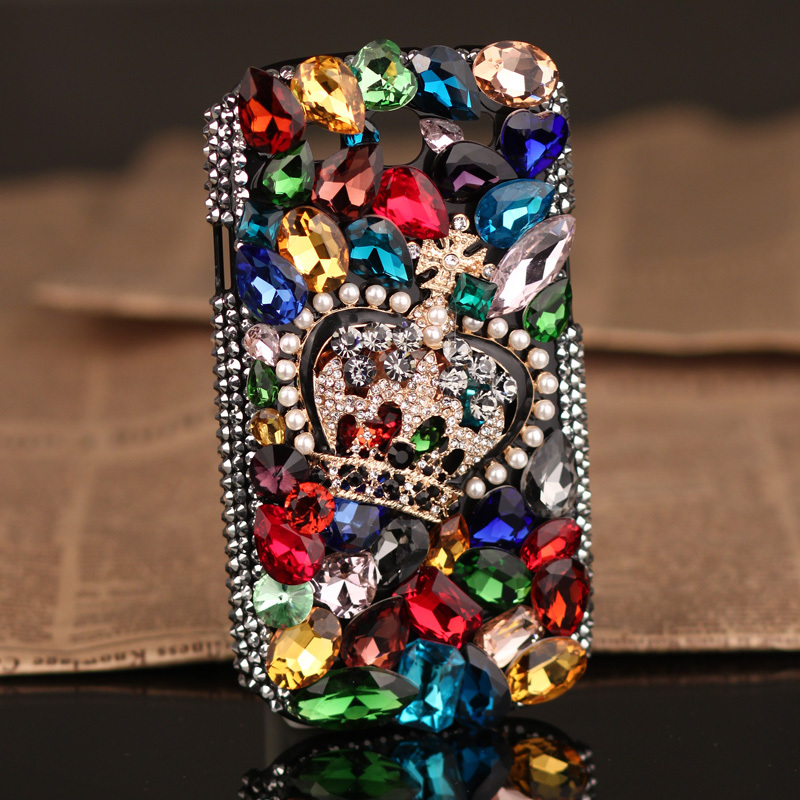 When you go to the website, most of their rhinestones iPhone 5 cases also come in sizes for the iPhone 4s, 4, 3GS, and the iPod Touch. In the order page, you can choose an iPhone model for the design you have chosen. Zazzle’s website on the other hand, features different designs for different phones. A certain case design for an iPhone 5 may not be available for other iPhone models, encouraging customization and uniqueness. When it comes to durability, Zazzle is able to offer 2 options for its custom cases. For each design, they are able to let the customer choose from 2 style cases. One is the Barely There case, that is a lightweight and form-fitting plastic; while the other style is the Vibe case that is impact-resistant with a rubber lined interior. Gullei’s sophistication and intricateness of the artificial and colorful stones may be more vulnerable compared to the cases in Zazzle. The handmade process of Gullei is something that customers want, especially girls who are really more into aesthetics. Gullei’s shipping of the case includes accessories like a gift bag, a gift box, and extra pearls and stones in the event of a piece getting detached. For Zazzle, you only pay for the case, and you receive it after allotted number of shipping days. Also when it comes to price, zazzle offers custom printed crystals looking designs phone cases with price ranging from 30 – 60 US Dollars while while gullei offers real crystals embedded 3d phone cases for price ranging from 25 to 45 US Dollars which makes gullei covers stand out in comparison with zazzle, yet zazzle covers are getting more exposure because of their highly paid marketing techniques and mostly customers believe zazzle’s crystals cases are real crystals and not just printed on silicone case until they receive package and get a 2D crystal design printed cover. With these points of comparison, it all depends on you, as to which matters most when it comes to selecting an iPhone 5 case. Gullei and Zazzle can both cater to the varying needs of iPhone case customers. 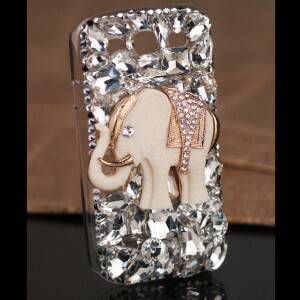 If it’s authentic and intricate designs you want along with read 3d crystal cases then you can go with Gullei. 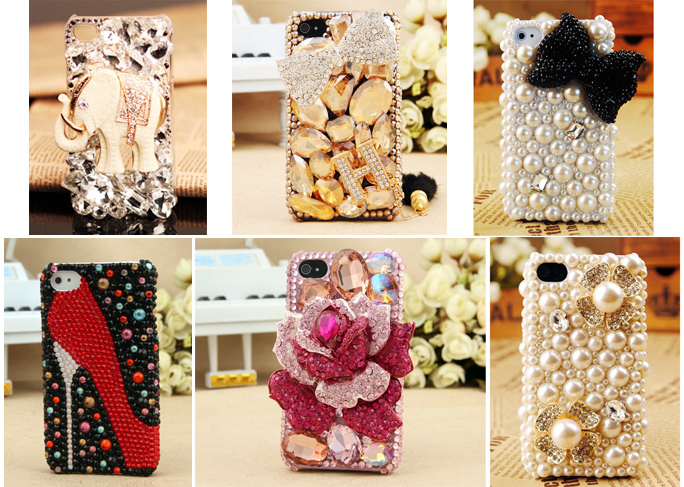 If the durability of your iPhone 5 is more important and do not require bling 3d crystals then you can go with Zazzle. Either way, your iPhone gets dressed up well. 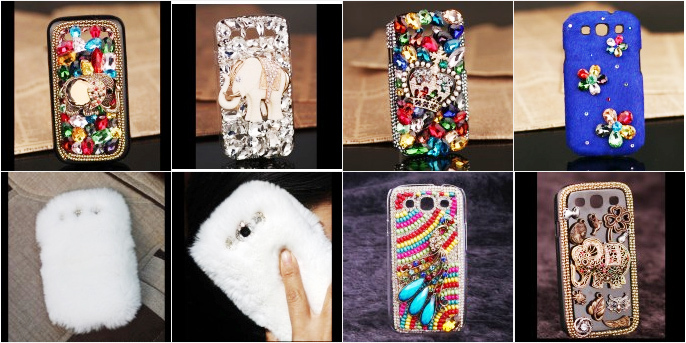 Below are few of 3d crystals embedded cases that you might consider for your new iphone 5.